For Dean Yatchyshyn, engine building became intriguing when he went to work for Volkswagen Garage Engine and Transmission Repair in 1973. It was shortly thereafter that he bought a 1970 Chevelle with a 454 in it. According to Yatchyshyn, his interest in engine building took off from there. And who can blame him? That started it all off. From there, Yatchyshyn began managing a speed shop for five or six years and convinced the two brothers who owned it to start their own machine shop. 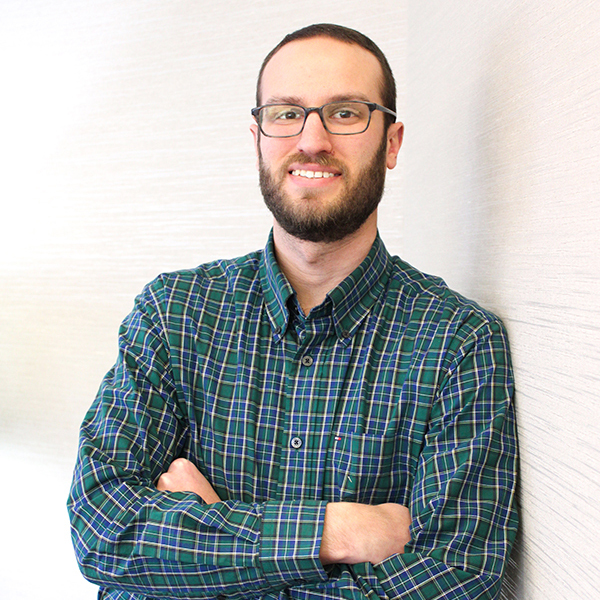 Going out on his own meant a 28’ x 32’ garage space for a few years, until about 26-27 years ago when Yatchyshyn bought a 9,000 square-foot building in downtown Cumberland, MD and renovated it into what is now Cresap Automotive Machine. Today, Cresap Automotive Machine is a full machine shop capable of doing everything in house with the exception of welding crankshafts. 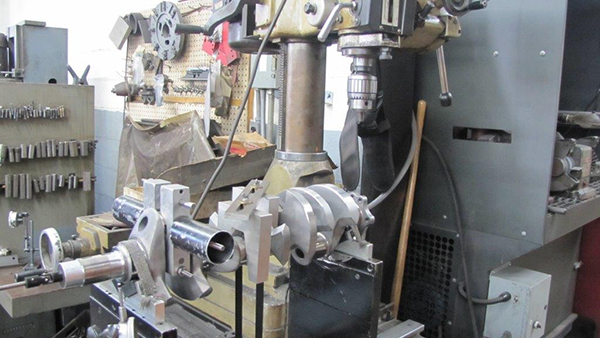 The shop has a crankshaft grinder, a crankshaft magnafluxer, a surface grinder for cylinder heads, an align boring machine, and an in-house dyno. 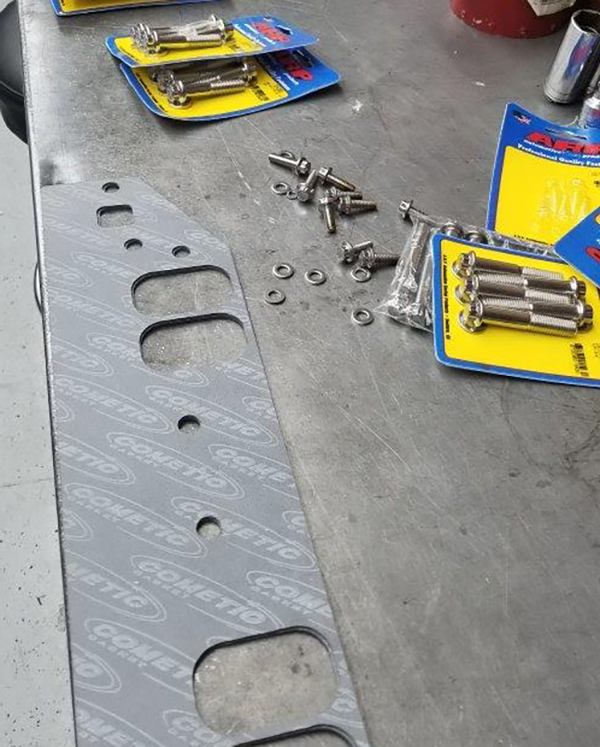 Yatchyshyn recently did a plate for a tensile tester for a company out of Washington state and gears for an orange juice squeezer for a company in Sebring, FL. 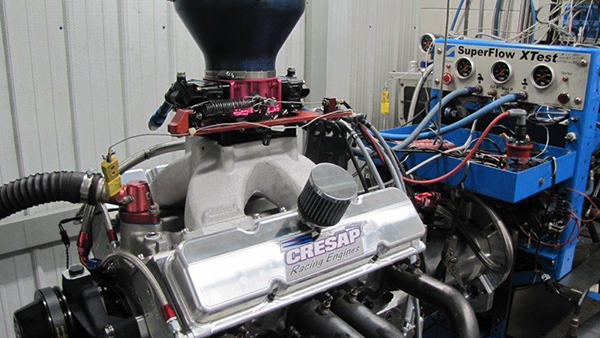 While that kind of extra work has helped Cresap bring in more dollars, the engine work is still the primary focus, and the shop specializes in high performance work. 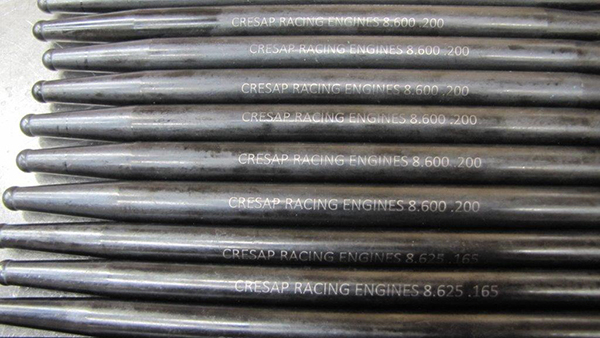 Just before the recession, Cresap concentrated pretty heavily on dirt track engines until that market went away in the Maryland area around 2008 when the local track closed, money tightened up and the economy went south. Yatchyshyn made sure that Cresap branched out. 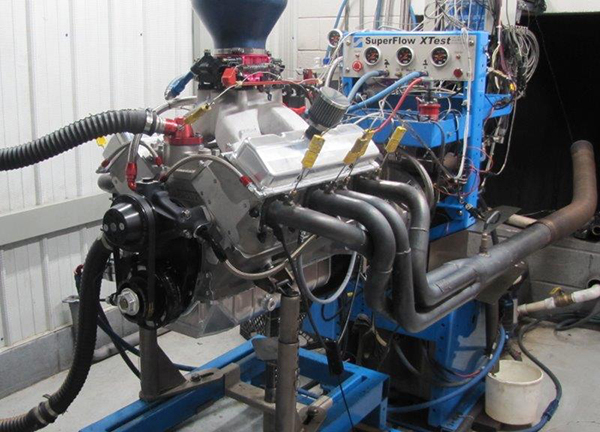 The shop moved into some drag racing motors as well as marine engines such as jet boats, in-boards and some power heads. 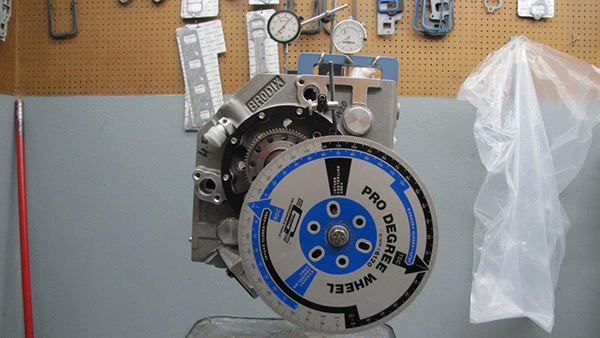 The shop will also do the small stuff – four wheelers, dirt bikes, boring cylinders and resleeving cylinders. With Cresap being a well-diversified machine shop, Yatchyshyn says they’re not working on your run-of-the-mill 350 Chevys. 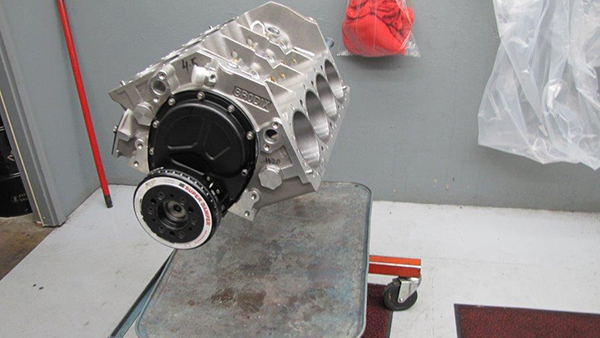 Recently, the shop finished up an all aluminum, dirt, super-late-model motor. This engine is for a repeat customer who Yatchyshyn did work for five or six years ago. The customer returned to Cresap wanting a new motor. According to Yatchyshyn, the block comes in pretty much finished up. 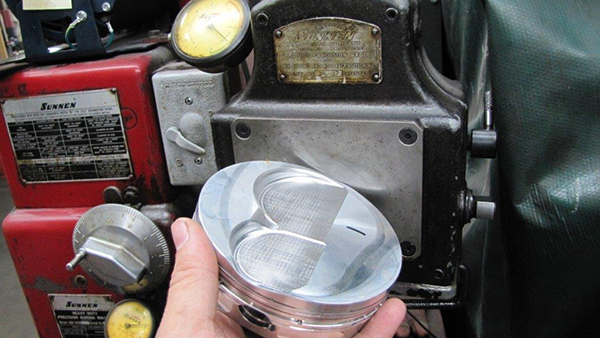 However, the shop will bore the cylinders, deck plate hone them, cut the deck to the proper height for the piston configuration and the bore and stroke, and finish the line bore on it to their specifications. 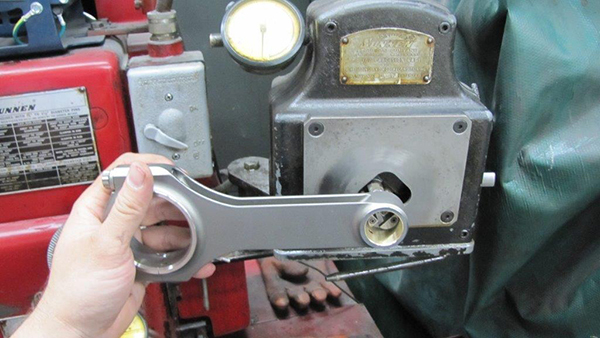 The crankshaft on this particular motor is a special crankshaft because of the spacing, so Cresap had to balance the crank adding heavy metal in both ends of the crank in order to get it where they wanted it. 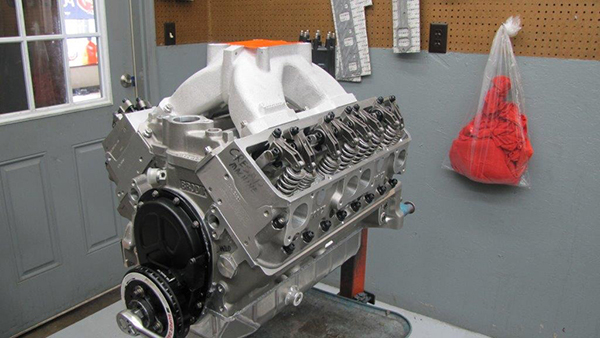 The block for the 438 is a Brodix with 4.500˝ bore spacing. 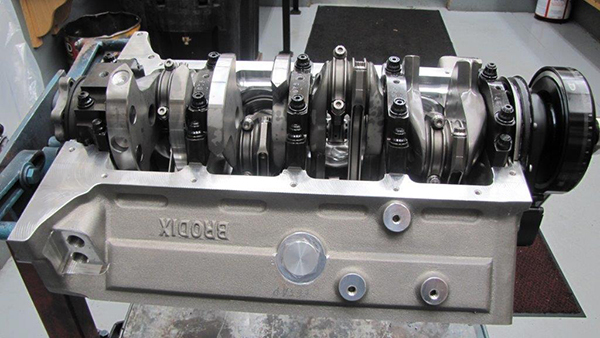 The crank is a billet Crower crankshaft. 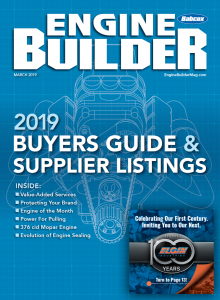 Connecting rods are Dyer Top rods. Pistons will be either Diamond or CP. 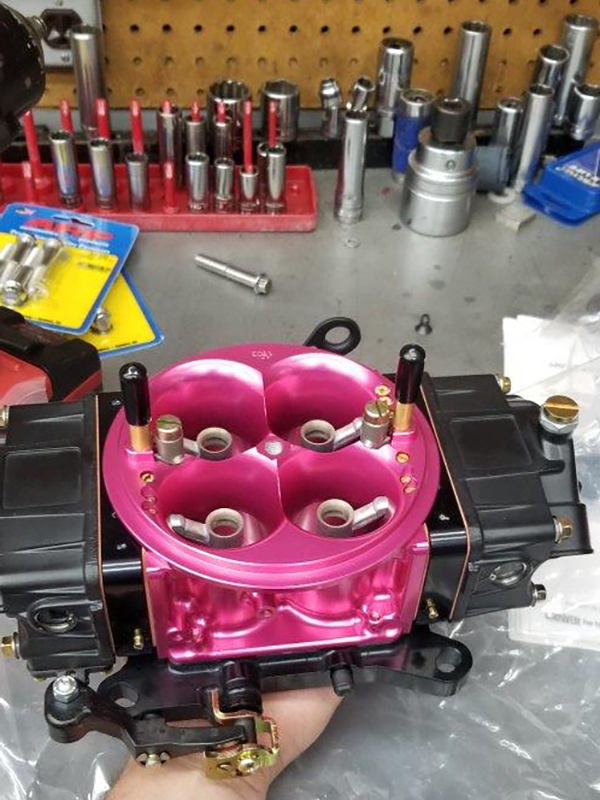 The cylinder heads start life as Brodix and then they get CNC’d from there, and the intake manifold is a two-piece manifold and will be CNC’d to match. The engine has a billet 850 carburetor, titanium valves and titanium retainers and Crower stainless steel rocker arms – all particular to the 4.500˝ bore spacing. This engine will also get Cometic cylinder head gaskets and intake gaskets and the camshaft will be a COMP cam. 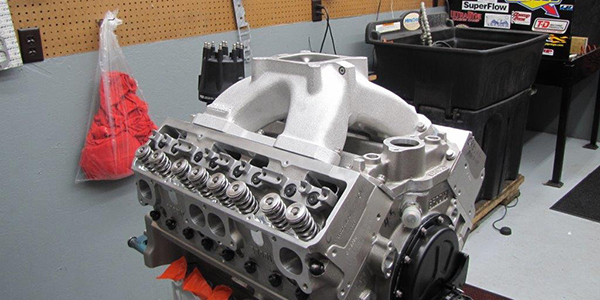 Depending on how the combination comes together, Yatchyshyn says this 438 SBC dirt super-late model engine should crank out 825-860 horsepower! All said and done, Cresap’s repeat customer should be one happy racer on race days!